When William A. Wellman wrote the story for the first ‘A Star is Born’ (1937) and won the Oscar for his efforts, little would he have envisaged that three remakes would follow – in 1954, 1976 and 2018. The most recent, and an almost faithful adaptation of the 1976 version, has Lady Gaga (born Stefani Germanotta) as Ally in the titular role, while Bradley Cooper – in his feature directorial debut – plays Jackson Maine, a successful country-blues-rock singer who’s capable of filling up football-sized arenas on his own merit. Meeting her one day at a bar where she sings ‘La Vie En Rose’, he’s instantly attracted to her – and her voice. He takes her under his patronage, making her a star… his own aura fading in the process, due to heavy drinking and drug addiction. And when he calls her ‘ugly’, things threaten to go out of hand. Ally is confident of her singing but unsure of her physical self, drawing a line across the contours of her nose to indicate its size (an oblique reference to Barbra Streisand in the 1976 film). 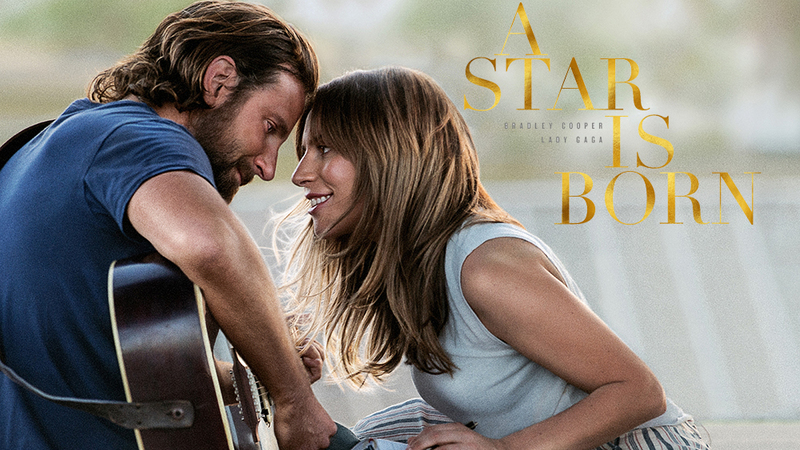 The songs and singing in the film are top-notch, with ‘Shallow’ and ‘I’ll Never Love Again’ (the last song) standing out. 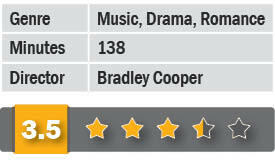 The film has Lady Gaga in her first leading role, while holding promise for Cooper as a director. There are several real-life scenarios, mainly Lady Gaga’s rise to fame from being a waitress. Largely without her now-famous makeup, she looks alluring in a naive and simplistic way, while Bradley acts with his voice – restrained and subdued. The set decoration by Ryan Watson complements the performances. Come awards time, the film is sure to garner more than a few.